WASHINGTON (Legal Newsline) - If the U.S. Supreme Court decides in the coming weeks -- even in the wake of Justice Antonin Scalia’s death -- to issue an opinion ruling certain plaintiffs who can’t show actual damages or some type of concrete harm do not have a legal right to sue, plaintiffs’ lawyers could be in for a challenge. Noah Axler, a partner at the Donovan Axler law firm in Philadelphia, says Spokeo v. Robins, along with two other class action cases, Campbell-Ewald Co. v. Gomez and Tyson Foods Inc. v. Bouaphakeo, are “highly relevant” to plaintiffs and class action attorneys such as himself. “In Spokeo, if the court were to decide that a plaintiff seeking solely statutory damages for violation of a federal statute can’t bring a case because he or she doesn’t have Article III standing, that would impact a lot of class actions,” said Axler, who has represented clients in numerous class actions, as well as contract, patent and trademark cases. The petitioner, Spokeo Inc., argues the case should be dismissed because the plaintiff, Thomas Robins of Virginia, did not prove that the publication of inaccurate personal information in violation of the Fair Credit Reporting Act was a concrete “injury” under Article III. Spokeo -- a “people search engine,” so to speak -- discloses to the public personally identifiable information, including contact information, marital status, age, occupation and economic health. Some of this information is subject to protection under federal privacy laws. Spokeo sought to dismiss the case, claiming there was no “injury-in-fact.” But a federal district court rejected that argument, finding the allegation of the FCRA violation was sufficient for the case to go forward. The U.S. Court of Appeals for the Ninth Circuit agreed, again denying Spokeo’s motion to dismiss the case for lack of jurisdiction. “If the [Supreme Court] rules for the plaintiff in Spokeo, then it will likely preserve the status quo,” Axler said. Jim Sturdevant, another plaintiffs attorney, says it’s difficult to predict exactly how the court will rule in the case. Based on the oral arguments held in November, he says the court seemed fairly divided on the question. 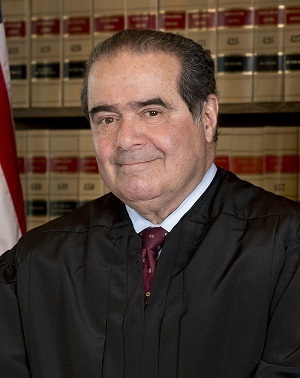 Scalia, 79, was found dead of natural causes at a luxury hunting resort in West Texas Feb. 13. The justice served on the high court for nearly 30 years. Scalia’s death leaves eight justices on the court, split 4-4 between being fairly conservative and fairly liberal, amid a presidential election year. President Barack Obama said this week he plans to nominate Merrick Garland, chief judge of the U.S. Court of Appeals for the District of Columbia Circuit, to the high court, despite the U.S. Senate’s continued resistance. All 11 Republican members of the Senate Judiciary Committee recently signed a letter, refusing to hold hearings on any replacement until a new president is inaugurated. Given the standoff, cases that were not decided before Scalia’s death could go one of two ways: be decided by the remaining justices or be held for rehearing after a new justice is confirmed. In the first scenario, if the court issues a 4-4 ruling, the court will not publish a written opinion; instead, the ruling of the lower court will be upheld and the Supreme Court’s decision will have no precedential effect. Wystan Ackerman, a partner at the Hartford, Conn., office of Robinson+Cole, says he expects the court will try to find a way to resolve Spokeo, pointing to the impasse over Scalia’s replacement. “It could be the court wants to get its own business done without holding a bunch of cases,” said Ackerman, who chairs the firm’s class action team and writes the blog Class Actions Insider. While a 4-4 deadlock is a real possibility, he argues that a majority ruling still is achievable. “My guess is that, if Justice Scalia’s vote was decisive, the remaining justices might now find their way to a majority in favor of a narrower decision that corrects what they seemed to pretty much all think was wrong about the Ninth Circuit’s opinion, while resolving this case on narrow grounds, leaving some issues for another day,” he said. Indeed, some legal observers believe it’s unlikely that the majority of justices -- even without Scalia -- will issue a ruling that plaintiffs like Robins only have to allege a violation of a right created by a statute, without any need to show a concrete harm from the violation. Jason Johnston, a law professor at the University of Virginia who teaches courses on contracts, economic regulation and torts, among others, says the Supreme Court, itself, has “clearly said” in many cases that a plaintiff must allege he or she has suffered injury to have constitutional standing to bring a lawsuit. “In the FCRA expiration date cases, plaintiffs could not allege harm, and these cases would be unconstitutional to bring, unless the Supreme Court holds that Congress can just create standing by creating a cause of action for statutory damages,” Johnston said. “If the court were to say this -- that Congress can, in effect, create standing this way -- then all of these no-harm lawsuits under statutory damage statutes could continue. Johnston says before Scalia’s death, such a “bad outcome” was unlikely. Johnston argues that such a decision would “perpetuate” the filing in federal court of class actions that “do no social good” and serve only to enrich class counsel.